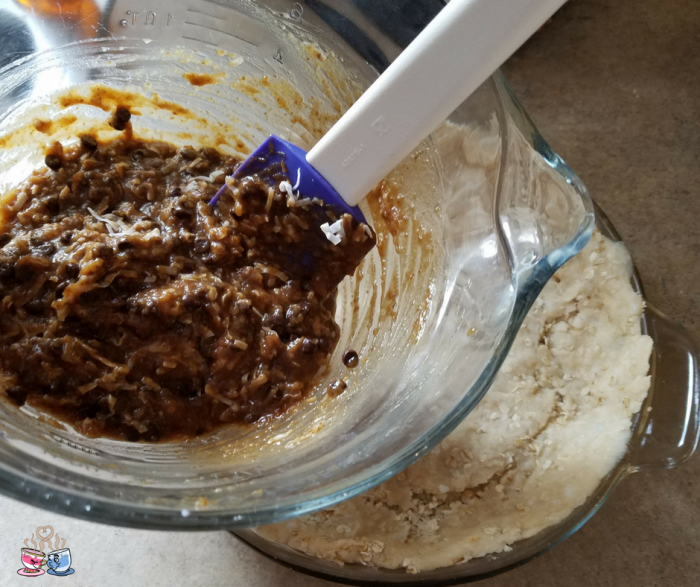 Never in a million years did I imagine something tasting as good as this new recipe creation for a Chocolate Coconut Vegan Pecan Pie. 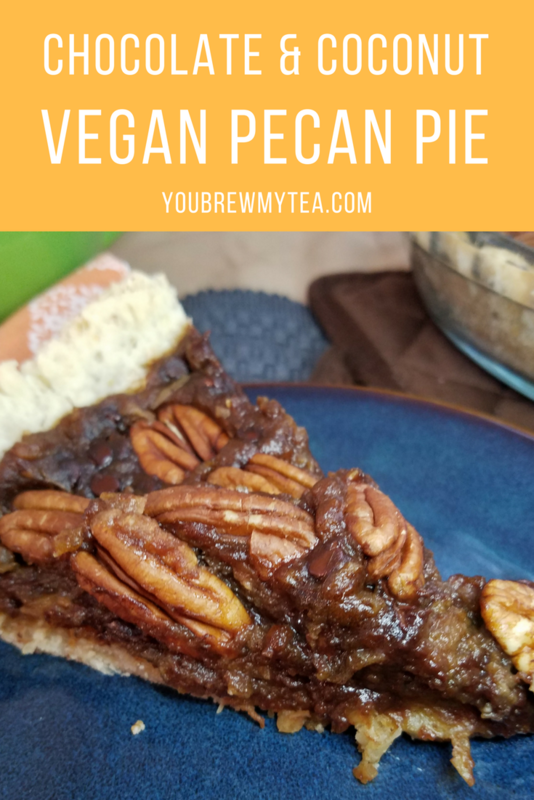 This not only is a vegan pecan pie option, but it is an upgrade on a pecan pie. With delicious creamy texture, toasty pecans, a bit of coconut and tons of chocolate throughout, you will fall in love whether you are vegan or not! As we have changed to a plant-based lifestyle, it has been a hard thing to figure out what to do for the upcoming holidays. We knew that a few treats were needed, but didn’t know how to manage them while needing them to be vegan. While this recipe is a bit heavy in points for the Weight Watchers Smartpoints program, it is still well worth having a half slice. It is seriously rich and delicious. A great treat for any sweet tooth! Our sponsor for this post, Crisco® Unrefined Organic Coconut Oil, was a perfect addition. I grew up making pies with my Granny, and she introduced me to the Crisco® brand when I was just a toddler climbing on a chair beside her in the kitchen to watch her mix up pie crusts for the holidays. Using this in my new adaptation of a classic makes me feel close to her once again. In a medium bowl, mix together flour, oats, salt, and Crisco® Unrefined Organic Coconut Oil. Mix until pea-sized pieces begin to form. Roll out into a circle to create pie crust, or press into pie plate as preferred. In your blender or food processor, mix 1/2 cup water, blackstrap molasses, and Medjool dates and pulse until smooth. Pour into a large bowl along with applesauce and mix until smooth. Add in coconut shreds, tapioca starch, and semi-sweet chocolate chips. In your blender or food processor, mix ½ cup water, blackstrap molasses, and Medjool dates and pulse until smooth. 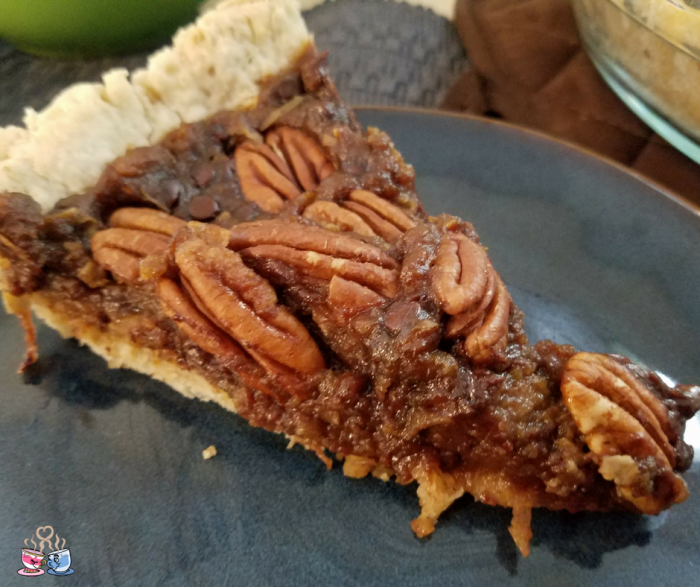 The crust on this vegan pecan pie is amazing. 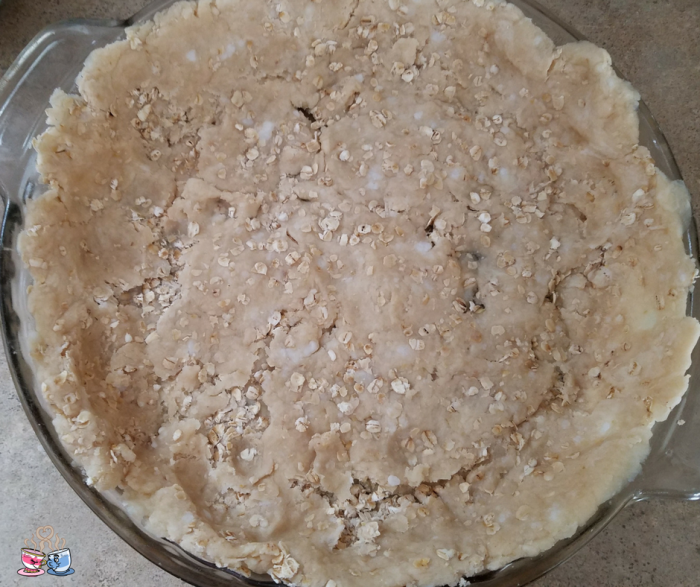 The combination of Crisco® Unrefined Organic Coconut Oil and a few oats with the flour makes it a flaky but delicious crust that is full of flavor. I love the fact that Crisco® is a name I grew up using when my Granny made pie crusts. Now, I can follow in her footsteps, only in a healthier way. Making my pie crusts like hers, but using coconut oil instead is like carrying on a healthier tradition. As I have transitioned to a plant-based diet, I am always on the lookout for products we can use that are available at our usual stores. I loved knowing how easy it was to find this product right on the shelf by other oils in our local Target. No need to find a specialty store to grab Crisco® Unrefined Organic Coconut Oil or Crisco® Refined Organic Coconut Oil. If you aren’t sure which to choose, remember that unrefined coconut oil has the coconut-y flavor, and the refined has no flavor or aroma. This should help as you decide what to purchase for sweet or savory recipes! 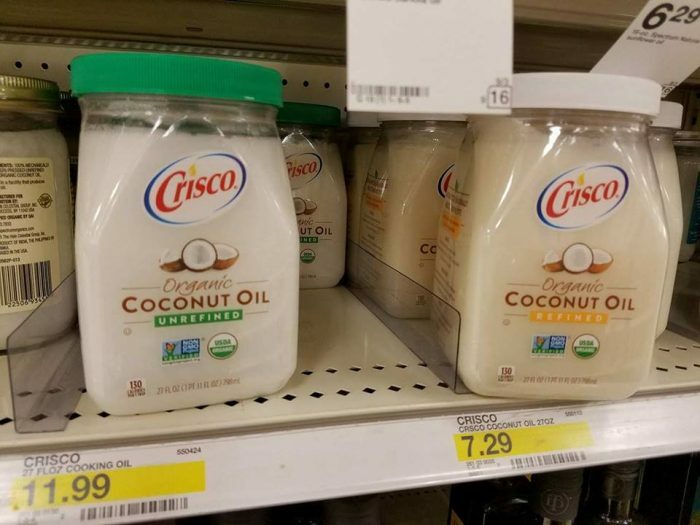 Right now, you can pick up Crisco® Unrefined Organic Coconut Oil or Crisco® Refined Organic Coconut Oil for your favorite recipes at Target and use the Target Cartwheel App to receive 25% off all varieties from now until October 7th, 2017. This is a great deal for a kitchen staple that is a healthier option when cooking and baking. 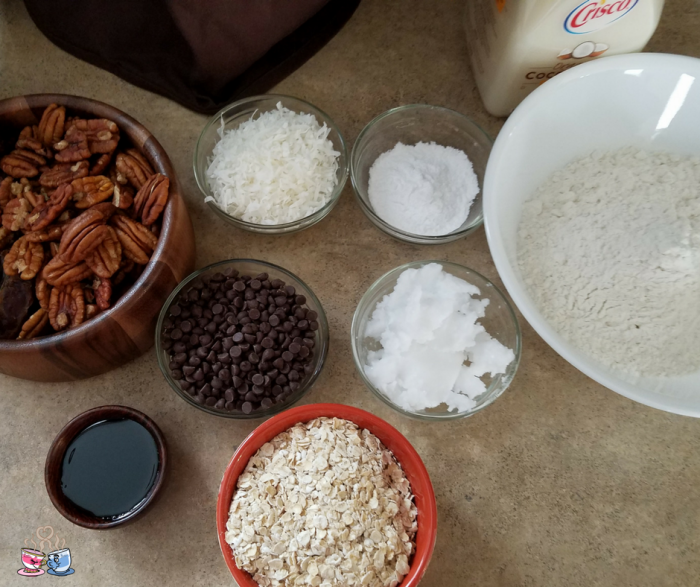 Make and serve this delicious Chocolate Coconut Vegan Pecan Pie for your friends and family this holiday season. You’ll find everyone raving over the rich flavors, and you’ll easily be able to stay within your plant-based or vegan lifestyle with no guilt. Thanks for sharing this delicious recipe with us at #overthemoon link party. I’ve pinned and shared on my Sizzling Towards 60 & Beyond FB page. This looks so yummy, I could just try some 🙂 Thanks for linking up to Creative Mondays. Hope you can join me for The Wednesday blog hop later this week. Cool vegan version of a traditional pie! Thank you for bringing your yummy pie to Fiesta Friday! Such a different pecan pie and using dates no less. Not exactly what I make but your pictures make your pie look so appetizing and healthier too! Thanks for sharing with Fiesta Friday. I want to eat that whole pie!! That looks so amazing!! 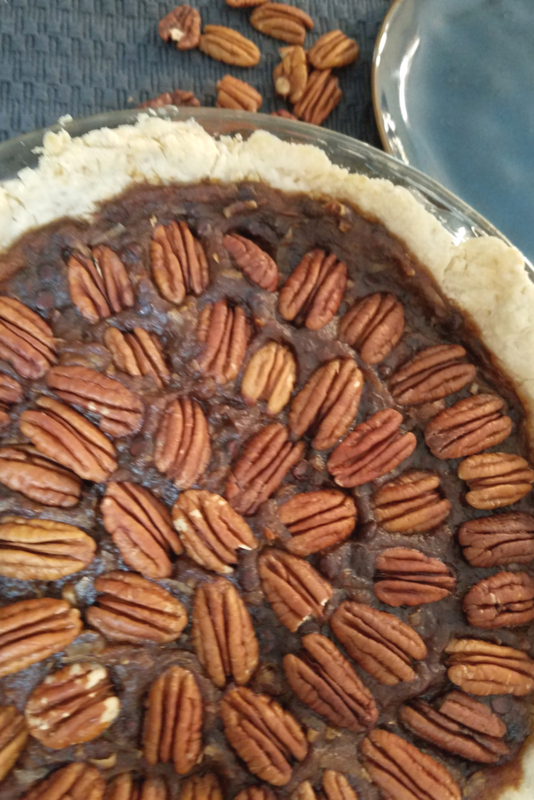 This will be a delicious Pecan Pie! Thanks so much for sharing your awesome post with us at Full Plate Thursday and come back soon!